Rice is a staple food for us back in Assam and anything prepared from it becomes a wholesome meal for us. Last Sunday I tried preparing Rice pancakes (we call it chawlo’r pitha) for breakfast. My mother used to prepare it for us as an evening snack and I remember devouring 2 – 3 at a time. It is easy to cook and can be made in a very less time. I usually bring ground rice from home, so that I do not have to worry about grinding the rice first and then preparing it. Nevertheless, grinding does not entail a tedious process as you just need to soak the rice overnight and grind it in the morning adding a small bowl of water. The ground rice then can be made into a batter. Like in many of our earlier dishes, I can add a healthy tip to this preparation by saying that you can also add small amounts of vegetables (cut in small pieces) to the batter. While I like to have it with pickle or even Tomato sauce, you can try having this crispy pancake with aloo ki sabji or curry. It will taste just awesome. Take the ground rice and mix water. Keep stirring to make it a fine batter. Do make the consistency neither too thin nor too thick. 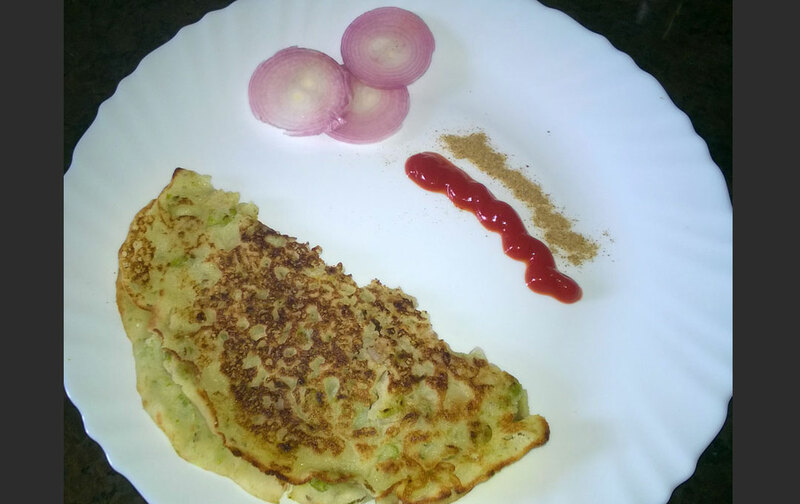 Share the post "Crispy Tasty Rice Pancakes (Pitha)"